Back Track Adventures employ professional trek leaders, ensuring a safe and informed holiday. Your trek leaders will explain the history at all the battle sites, giving you an insight in to the culture of the people living in the villages and keep you well informed about each days objectives and, most importantly, ensure that you all complete the trek safely. Your trek leaders attend to the smooth day-to-day operation of the trek so you can relax. They remember their first time over the Track and they know the challenges you will face. We understand it is your challenge, but our crew is dedicated to ensuring that you complete it and enjoy the experience. Our Trek Leaders are knowledgeable and passionate about the history of the Kokoda Campaign. They have a detailed understanding of the campaign, the tactics used by both the Japanese and the Australian forces, and they also know many personal stories of those who fought and died along the Track. Our Leaders carry selected maps, historic photos and other pictorial reference material to aid your understanding during your trek.  When you trek the Kokoda Track with Back Track you will trek with a fantastic local PNG crew – your Head Guide, trekking crew and personal porters. The majority of your local trek crew come from Naduri Village half way along the Kokoda Track. You might meet their families when we stop overnight in their village during the trek. Jim will take any opportunity to escape the Brisbane office and head into the world’s wild places. For the last 30 years, Jim has led trekking groups to wild and remote places all over the globe. If not out trekking or on safari in Africa you’ll find Jim pursuing his love for mountain climbing. Jim is a Back Track Director. His father served in the AIF in New Guinea in WW2. Ray is equally at home leading groups in the mountains of Nepal, the jungles of Kokoda or the wilds of Africa. His energy, enthusiasm and zest for adventure are contagious. Ray has been acknowledged within the trekking industry as one of the most experienced Nepal trekking guides and trek authorities in the world. He has led over 50 treks in the Nepal Himalaya and spent over 30 years researching trek routes. 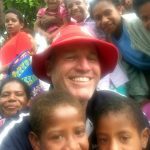 You will be in safe hands on your journey across the Kokoda Track with Ray’s knowledge and expertise. As a qualified personal trainer, Ray is available to discuss what training is required to maximise your outdoor adventure. Ray is a Back Track Director. His father served in the AIF in New Guinea in WWII. Like all our Track guides, Brad has a passion for the history and people who live on the Kokoda Track. The spirit and determination shown by trekkers on the Track, and the respect shown to the fallen diggers, impresses Brad, especially considering he spent 11 years serving in the Army on multiple operational deployments. His motivation is to help all trekkers experience the Track and push themselves further to complete it. Carla’s mum was born in PNG reinforcing Carla’s strong connection with the country and its people. Her early childhood was spent sailing around Australia. Carla’s healthy outdoor lifestyle continues today with a passion for hiking, running, mountain climbing and boot camps. 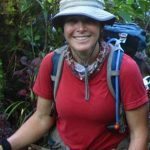 Carla loves the Kokoda Track ecology and people.Her personal mission on all treks is to help you achieve your goal, whatever that may be, for undertaking the Track. A passionate photographer and trekker, Damo just has that knack of ‘getting along’ with people. He’s an experienced leader and you’ll enjoy traveling with him. When not on the Kokoda Track or trekking in Nepal, you’ll find Damo riding his mountain bike or working at Paddy Palin in Brisbane. This website features many of his photographs. He is also leading Back Track’s Nepal Photography Tour. Damian’s philosophy on life is health, fitness & fun. As an Air Traffic Controller, Damian works in a disciplined & structured environment and has good fun along the way. In his spare time, he enjoys mountain biking the trails in NZ, savouring the bushwalks of Tassie & motorcycling along the winding roads of Brisbane’s hinterland. Damian is motivated to assist trekkers in experiencing Kokoda, to learn from the experience and make memories that will last a lifetime. Daniel was brought up on a dairy/cattle property in rural Queensland where he developed a keen appreciation of the bush and the outdoors. After 9 years of service in the Australian Army Engineers, Dan is back ‘on the land’ at Kilcoy. He has a passion for military history. His uncle served in PNG with the 2/25Bn, giving Dan a real connection with the Track. Dan loves to share his knowledge and passion for Kokoda history with our trekkers. Darren is the newest addition to our Kokoda Leadership Team. A self-proclaimed larrikin, (we can vouch for that) and a family man, Darren recently did the Track with his eldest son. Darren’s grandfather fought in Africa and PNG during WWII. Darren knows the history of the wartime Kokoda Track and will share the story with you as it unfolds during your journey. He brings limitless enthusiasm and passion to his role as trek leader and will ensure your journey is a safe, happy and rewarding experience. Deanne enjoys the physical challenge of trekking and the buzz of being away from it all. After being an Army Officer for a number of years, she left to pursue a career in fitness, eventually switching to study medicine. Deanne has a keen interest in the history of the Kokoda Track and enjoys the challenge it holds. She is passionate about encouraging others to learn and explore all aspects of life. Ever since he was found floating down the Sepik river in an old Arnotts’ biscuit tin as a baby, Gareth has had an affinity with the outdoors. Sharing knowledge and experiences of both natural and human histories are his passion. The campaigns fought by Australians in PNG, its’ peoples, fauna and flora are a special interest for Gareth and he finds it humbly rewarding to safely guide trekkers through it all and to find their own connection. Gareth had an uncle who fought in the New Guinea campaign during WW2. When not lying in mountain creeks, Gareth works as a registered nurse with a focus in wilderness first aid. Jason is passionate about keeping fit and healthy, whether it is for competing in obstacle courses, Kokoda Gold Coast challenge or walking the Kokoda Track. He was inspired by the campaign history, the mateship with the trek crew, the friendliness of the local people during his first trek, and loves to share these same experiences with you. Like all our Leaders, he knows what a privilege it is to complete the Kokoda Track. He’s keen to help others achieve this remarkable privilege in a safe and caring environment. Jason is committed to providing his trekkers with an inspiring, memorable and uplifting experience. As a Senior Sergeant with the Tasmanian Police force and as a former member of the Police Search and Rescue Squad, Jason’s been fortunate in spending a lot of time in Tassie’s beautiful great outdoors, skiing, trekking, abseiling and caving. Having trekked all the famous Tasmanian treks and spending most free time camping and fishing, leading treks along the Kokoda Track is just an extension of his life’s work. “Having played sport all my life, I am a big believer in teamwork and all working together to achieve a goal”. Jason’s philosophy on teamwork fits perfectly into Back Track’s goal of ensuring all trekkers complete the Track safely and happily. When trekking with Jason, you’ll be safe and well informed. Jo brings significant leadership, motivation skills and talent to the trekking environment from her role as business manager for a large Medical Practice. 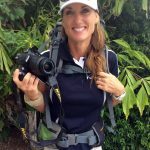 She is a very fit and accomplished trekker with significant Kokoda experience. Jo is confident and relaxed in any outdoor environment. Her heartfelt passion about the historical aspects of the Kokoda campaign and the local people who live along the Track is what Jo brings to her role as a Kokoda leader. A popular leader, you’ll enjoy trekking with her. Growing up in rural Australia, John developed a passion for the outdoors. He enjoys the straight forward manner of life on the Track. His summers in Colorado working with young people in the outdoors has informed his appreciation for the value of experiences that immerse you in nature, and the connections you develop within yourself and with others. John believes that the Kokoda Track is “nature on steroids”. He guides on the basis that the knowledge his trekkers gain of our Aussie heritage, insights to themselves and the memories created by the shared experience will shape their lives long after they have returned home. Now that Kathy has sold her business and the children are all grown up, she has the extra time between her sporting and family commitments to be able to enjoy trekking the world. She is a firm believer in team efforts as a real means of assisting people to achieve their personal goals. Having always been a team player, she knows how to set the foundations for an enjoyable and safe trek. She has trekked in Africa, South America, Nepal and PNG. Kathy believes the Kokoda Campaign has true significance for all Australians and the lessons to be learnt from the Kokoda Story should never be forgotten. Many admire Martin’s leadership qualities. One trekker recently commented on his leadership abilities as ‘awesome’, and many others have described him as one of life’s ‘gentleman’, a description we most heartily endorse. Martin’s positive approach to life in general and his friendly nature make him a popular Kokoda leader. His knowledge of the Track and its history is superb. If you have the opportunity to trek with Martin, it will be an uplifting and enjoyable experience. Martin continually challenges his mental and physical capabilities by trekking some of Tasmania’s most spectacular and toughest walks on a regular basis. 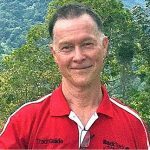 His knowledge and interest in Kokoda has only grown since his first trek, and he delights in sharing these with his fellow trekkers. Martin has recently discovered that his great uncle had fought along the Track. This has added further meaning to both himself and his family. Martin firmly believes that The Kokoda campaign was fought by the bravest, is now trekked by the able, and should be remembered by all. Growing up in Rural NSW, Matt developed a keen love for the bush and the great outdoors from a young age. Matt’s involvement in Army cadets and his families involvement in both the Great War and in New Guinea during in WWII really ignited his passion for the Australian Military and its history, in particular the Kokoda track campaign. Matt loves trekking throughout the Hawkesbury and Blue Mountains in NSW and the Tasmanian wildness. He also competes regularly in Triathlons and fitness events all over Australia. Matt is extremely keen to share his passion for the people, culture and the amazing story of Kokoda. 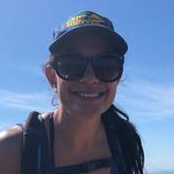 From her years as an officer in the army, Megs bring her leadership skills and her wide experience and love for the great outdoors into her role as a trek leader. Megan started with us leading Kokoda treks in 2005 and then gave her high-altitude skills a run, with treks over the Inca Trail in Peru and to the 5895m summit of Africa’s highest mountain, Kilimanjaro. In 2018, Megan will be leading our Everest High Passes adventure. A great travel companion, she’ll show you how to make health and fitness part of your lifestyle. Michelle loves the idea of trekking the world for the rest of her life but settles for spending her annual leave leading Kokoda Treks and travelling abroad. She brings extensive leadership experience gained in her 10 years as CEO of various Local Governments to her role as trek leader. Michelle feels most at home in the outdoors and aside from her penchant for adventure travel, spends her spare time competing in triathlons in the beautiful surrounds of Coffs Harbour. Providing the best experience possible for trekkers is Michelle’s focus. Rod’s father fought with the AIF in New Guinea and he has grown up with this history. As a country general practitioner, he also has an interest in the physical and medical challenges that wilderness trekking present. Rod believes that while most Australians recognise the name Kokoda, few will know of the courage, sacrifice and gravity of the Owen Stanley campaign. His passion is sharing the legend with young Australians. Sarah’s love for life and adventure has taken her all over the globe. With a skip in her step and ever cheerful smile on her face, Sarah will guide, inform, and help motivate you through your Kokoda experience. Sarah has a deep love for the people who live along the Track and is constantly working on learning more about their history and culture. She understands the importance of keeping the Kokoda story alive. Sarah will be a guide and a great mate for all who are fortunate enough to trek with her. Sarah’s grandfather drove transport vehicles in New Guinea during WW2. Born in W.A., as a young girl, Sharlene was a true outdoors type, revelling in swimming, surfing, hang gliding and as she grew older team sports such as soccer and volleyball. Her Dad was in the medical corps in PNG during the Second World War and like most who were involved, never spoke much about the fighting. After WWII, Sharlene’s father returned to PNG as a medical officer until 1946. Her father’s passion for PNG was the motivating force for Sharlene’s first visit. Now as a Track Leader, she has the opportunity to share her family’s love for the country and the Kokoda Story with other Australians. In Sharlene’s own words she loves the three Hs, humidity, humans and history. You’ll find her a highly motivated and caring leader.